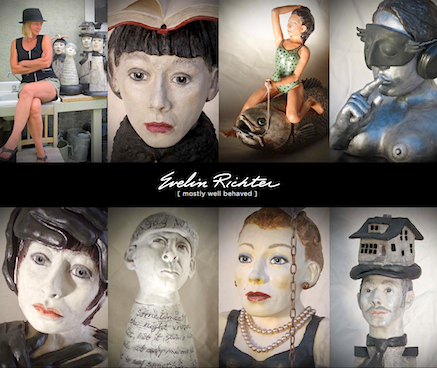 I’m happy to announce that my long-anticipated book entitled “Evelin Richter [mostly well behaved]” is now in print (40 pages, cloth-bound hard-cover). 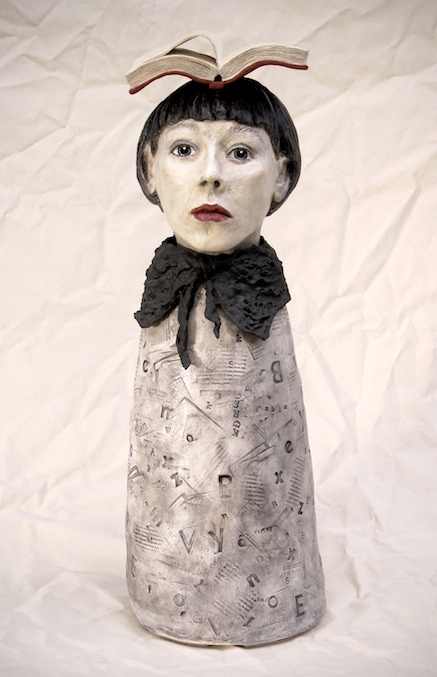 My purpose in compiling this book is to increase exposure for my figurative sculptural ceramic work (my goal is not really to sell books). While I love living and working in Winnipeg Beach, the reality is that a rural resort community that dwindles down to some 500 or so souls in wintertime simply does not have enough collectors or art buyers to put soup on the table—I’m hoping that the body of work shown in this book will help me to find gallery representation in some major urban centers… I welcome suggestions from friends and patrons in this regard. Here is a link to an online PDF “eBook” version that you can download for free (5.7 MB, after opening the html link, just “save” the PDF to your computer). 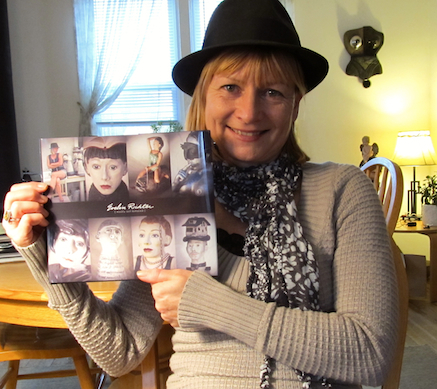 I’d be delighted to receive feedback (positive or critical) and I’d be equally delighted if anyone viewing this book would “share” this link, pass it on to art lovers you may know, or help connect me with your favorite gallery. For anyone wishing to purchase an archival-quality hard-cover book, please let me know (send me an email here)… a batch of books should be arriving in time for Christmas giving. 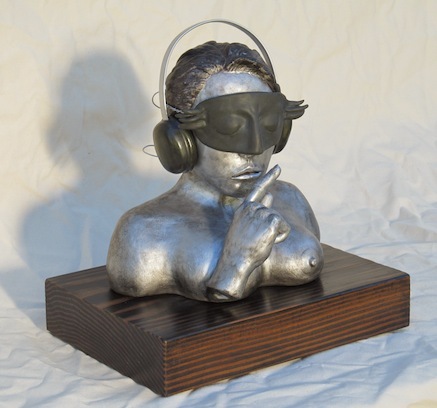 It started on a Thursday… A hand-built clay figure with fired glazes and partial cold finish; assemblage with metal findings on stained wooden base. 380mm x 275mm x 380mm high. Save her for a rainy day. 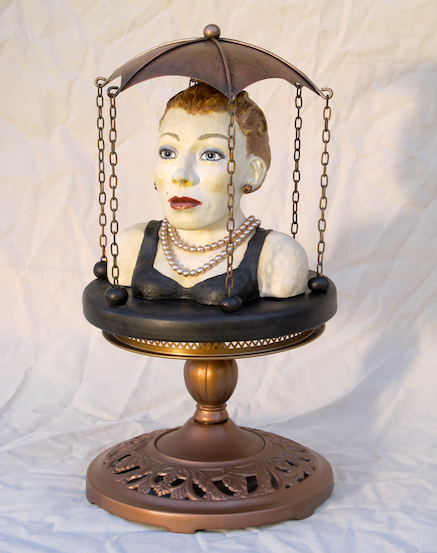 A hand-built clay figure with glaze, stains, and cold finishes; antique cast iron pedestal base, brass and copper findings, jewellery, fire-tarnished steel chain. 300mm diameter x 530mm high.